Twenty (20) John F. Kennedy administration era photographs, including Cecil W. Stoughton. 1st item: One (1) photograph depicting President John. 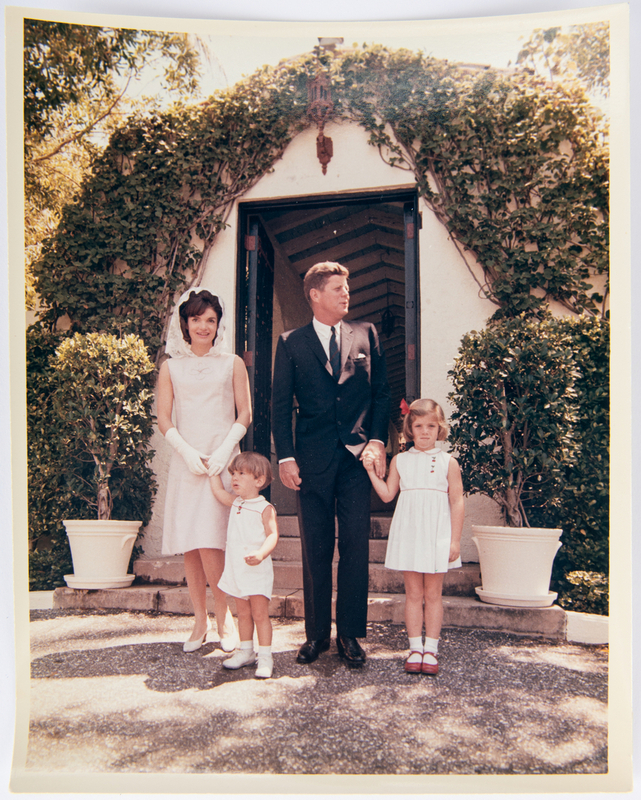 F. Kennedy watching his children Caroline Bouvier Kennedy and John. F. Kennedy, Jr. in the oval office. 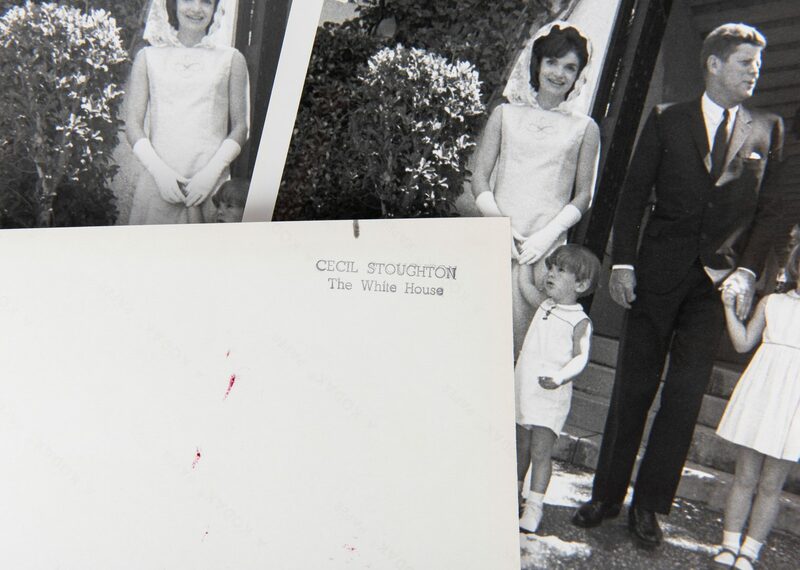 2nd-5th items: Four (4) copies of a photograph taken by Cecil W. Stoughton (American, 1920-2008) depicting the Kennedy family outside a church, including one (1) in color with "Cecil Stoughton White House", stamped in black ink, top right en verso. 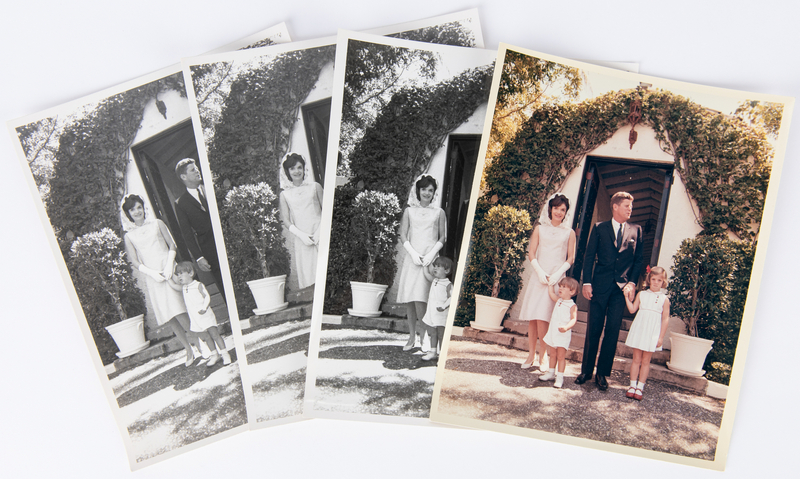 6th-9th items: Four (4) copies of a photograph of John. 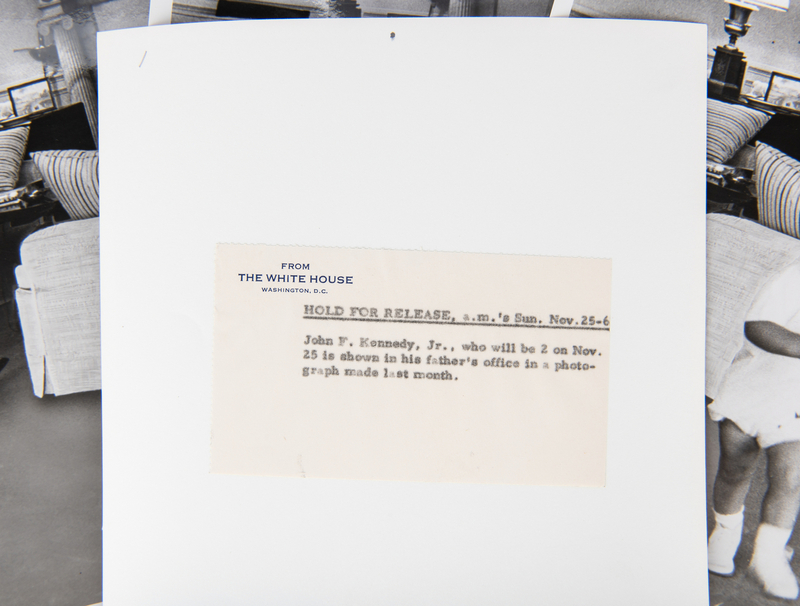 F. Kennedy, Jr. in the oval office, circa 1962, one (1) with White House "Hold for Release" notification, en verso. 10th-11th items: Two (2) photographs depicting John. F. Kennedy and First Lady Jacqueline Kennedy, one (1) depicting the couple at the White House with the Washington monument in the background with "2" written in pencil, top right en verso, and one (1) depicting the couple in formal evening wear. 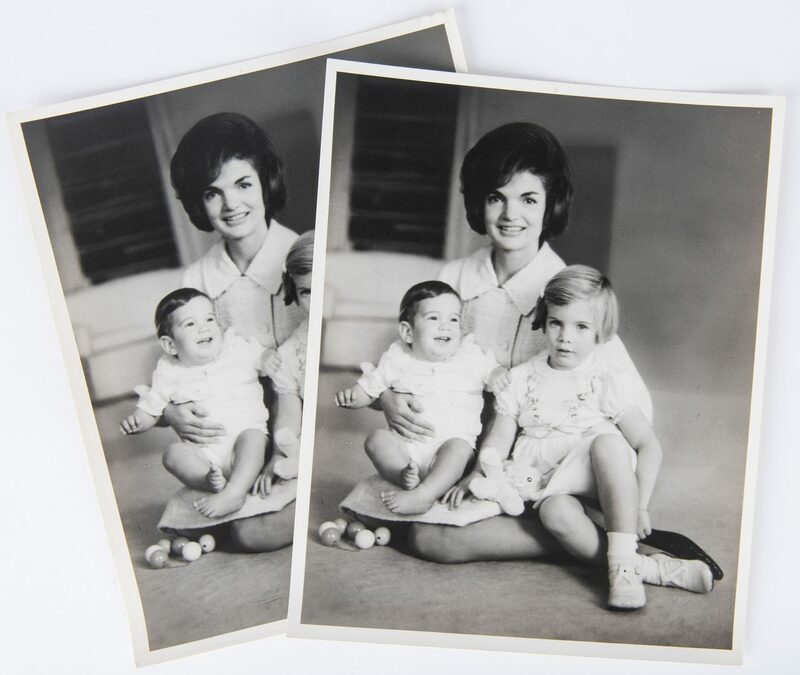 12th-13th items: Two (2) copies of a photograph of Jacqueline Kennedy with her two children Caroline Bouvier Kennedy and John. 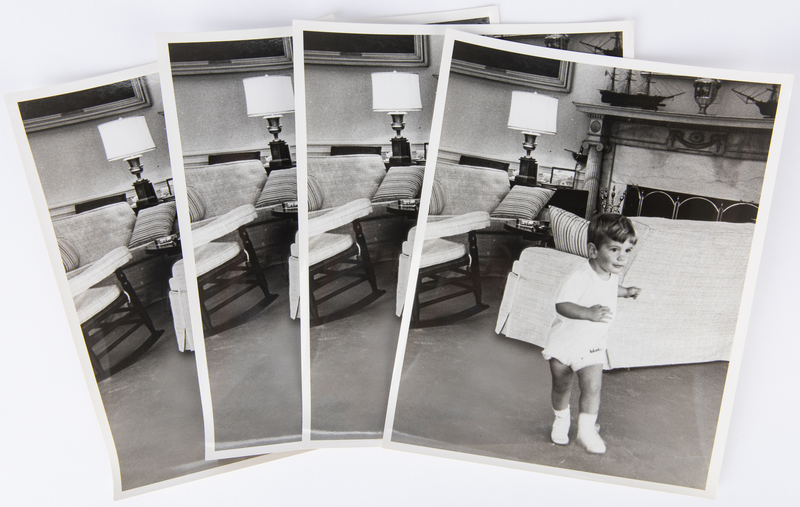 F. Kennedy, Jr. 14th-15th items: Two (2) photographs of John. F. Kennedy, Jr. as a baby with his sister Caroline Bouvier Kennedy. 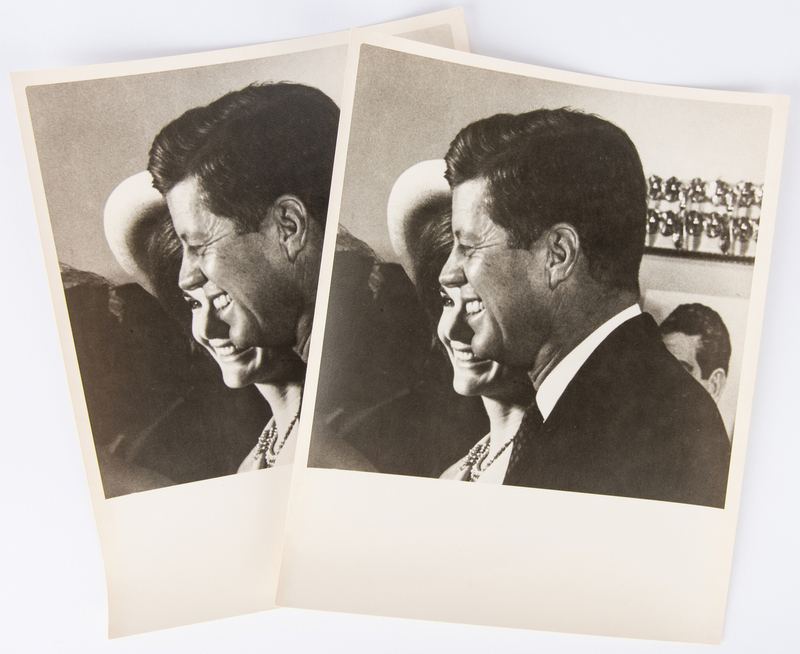 16th-17th items: Two (2) photographs of Jacqueline Kennedy, one (1) at the White House with the Washington monument in the background and one (1) candid photograph while wearing a suit and hat with John F. Kennedy behind her. 18th item: One (1) photograph depicting Caroline Bouvier Kennedy running in the grass with the ocean in the background. 19th-20th items: Two (2) copies of a photograph depicting a close up of John. 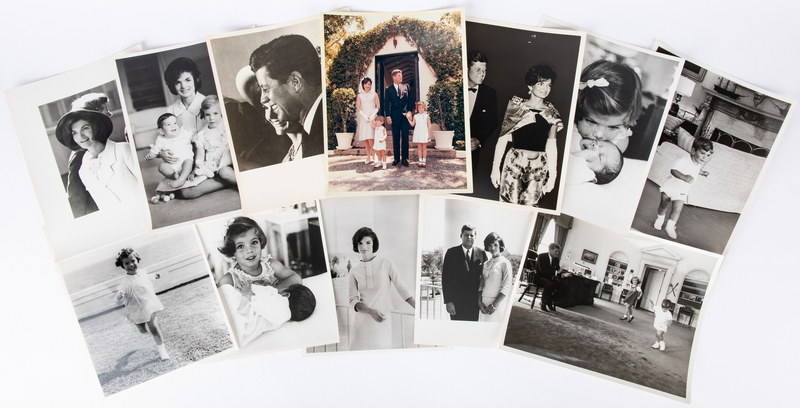 F. Kennedy and Jacqueline Kennedy, one (1) copy with "2" written in pencil, top left en verso. All photos approximately 10" H x 8" W. Mid 20th century. Provenance: From the estate of Captain Gordon Wells, member of the Secret Service's Uniformed Division, the White House Police, from 1943 through 1967. During his tenure, Wells received mementos from sitting Presidents and First ladies of 5 administrations, from Franklin Roosevelt through Lyndon B. Johnson. CONDITION: Overall good condition with wear to be expected from age, some with pencil marks (see description). Includes some duplicates. 19th-20th items: Formal wear photo with minute tears, top center.